A friend called me recently to ask for recommendations on how to divide his upcoming holiday to Melbourne, Sydney and Gold Coast. I dutifully gave my recommendations (it primarily depends on your main objective for the holiday – if more city, culture, architecture and scenery go to Sydney and Melbourne, if more family entertainment then GC) but it then made me realize how i have never really written a post about my experience in where and when to go in Melbourne. For the benefit of friends and readers who’ve never been, here’s my take on the cosmopolitan city I called home for 1.5 years till recently. If you only have a couple of days in Melbourne, a recommended itinerary is to begin your day having breakfast and souvenir shopping at Queen Victoria Market (except Mondays and Wednesdays when they’re closed). They have yummy mini-pancakes and oysters (if you’re a fan). 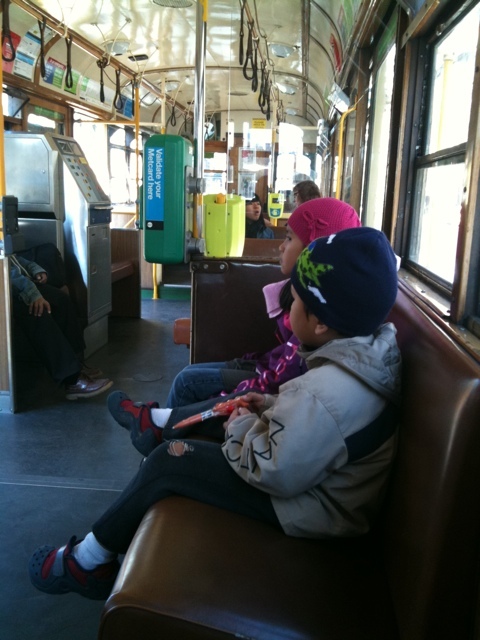 Then spend the day touring the city on the free City Circle tram for tourists (although i think more locals hop on and off as they please to get across the city as it’s free). Melbourne city is easy as it’s shaped like a rectangle and cut into grids, just like Manhattan (my favouritest city in the world – sorry, Melbourne). 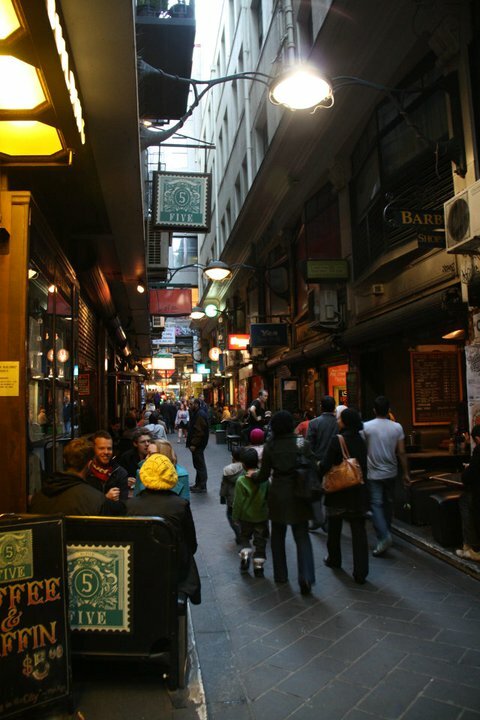 Get off at Flinders St and explore the city’s lanes; they’re my favorite thing about Melbourne. 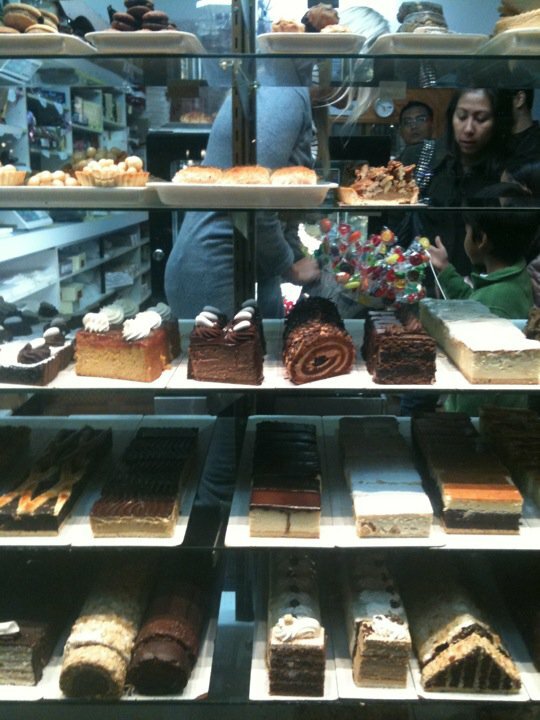 My favorite is Central Place; it’s got quirky European-like balconies and cozy cafes where you can drop by for lunch. My only complaint? It’s too short. 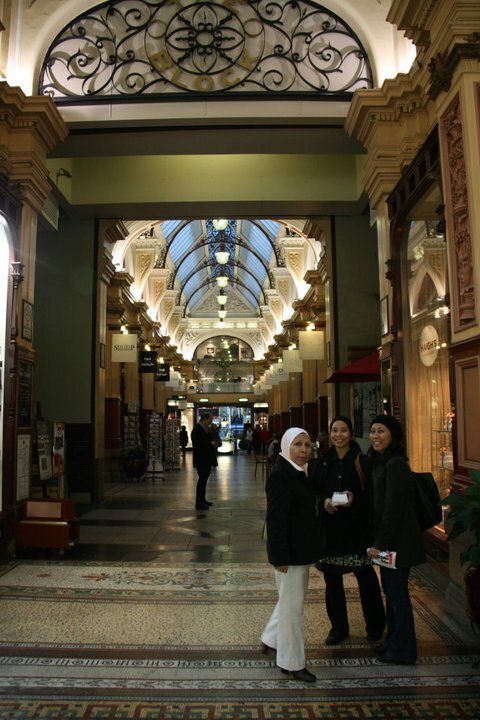 Cross over into Block Arcade and Royal Arcade where there’s the delightful Hopetoun tea room, halal Indian food (there’s loads of halal food in Melbourne, you’re bound to find one) and the world’s best hot chocolate at Chokolait. Then head to the shopping haven of the pedestrian mall Bourke St (or Collins St if you’re rich) for some Melbourne shopping. There are also some DFOs at Harbourtown and Essendon if you want cheaper prices. 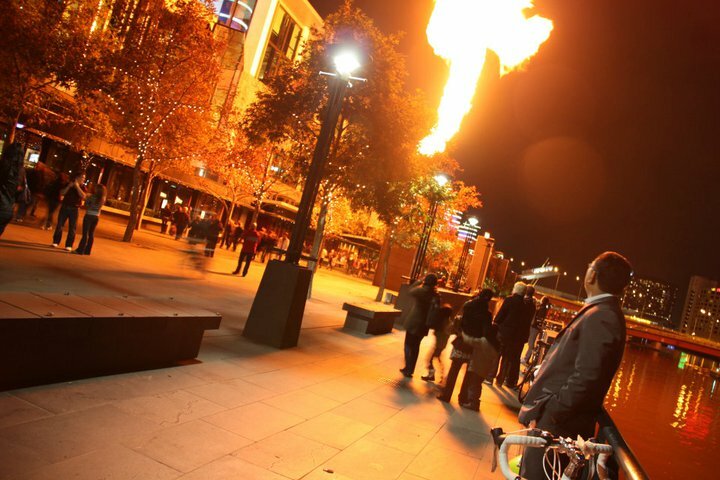 Complete your day by having dinner and watching the fire show outside Crown Casino. They start out pretty harmless and small and then they do get pretty big so be careful if you’ve got toddlers! If you have at least one more night and depending on the season, head to Phillip Island (2.5hrs drive south towards the Mornington Peninsula) to watch the penguin parade at sunset. No one is allowed to take pictures so I haven’t got any, but you can google it and see the professionally taken pics yourself. They’re the best touristy activity to do there and a definite must-go for me – seeing all those little penguins emerge from the sea after a day’s fishing and waddling their way home in a group is one of nature’s miracles! 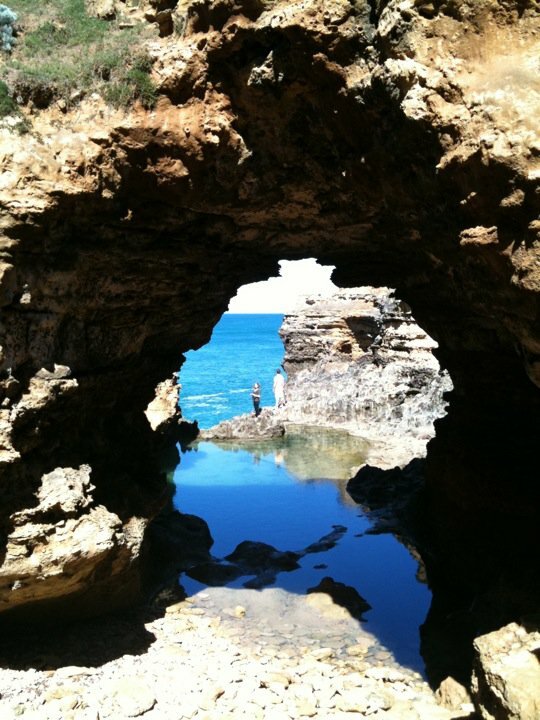 If you have a bit more time, you can drive through the Great Ocean Road and see the beautiful scenery on Twelve Apostles and The Grotto. 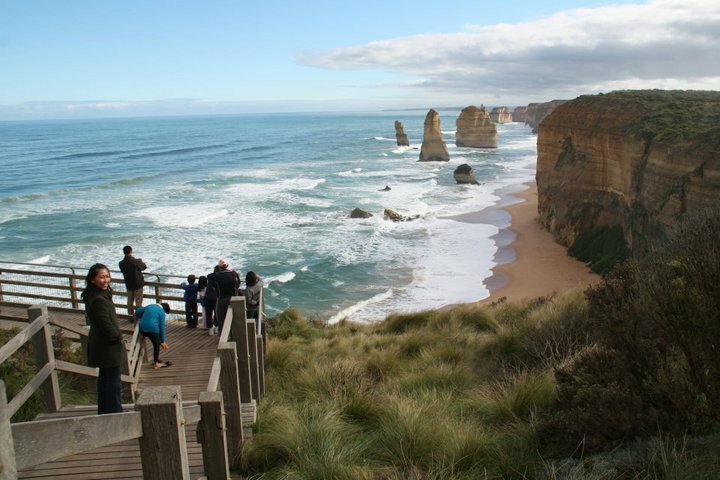 Stop at Geelong for great pier views, stay the night at Port Campbell and visit Warrnambool if you have time for some whale-watching. 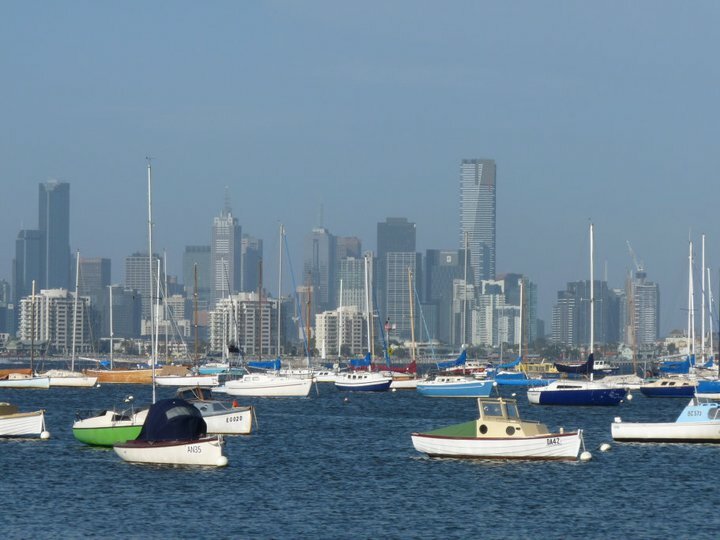 My other favorite spots in the city are St Kilda and Williamstown. Both have spectacular views of the coastline – St Kilda has a great fishing pier to stroll on and penguins to watch at night and a yummilicious lane full of delectable desserts and cafes called Acland St.
…while Williamstown has a great park by the marina and has great views of the city. 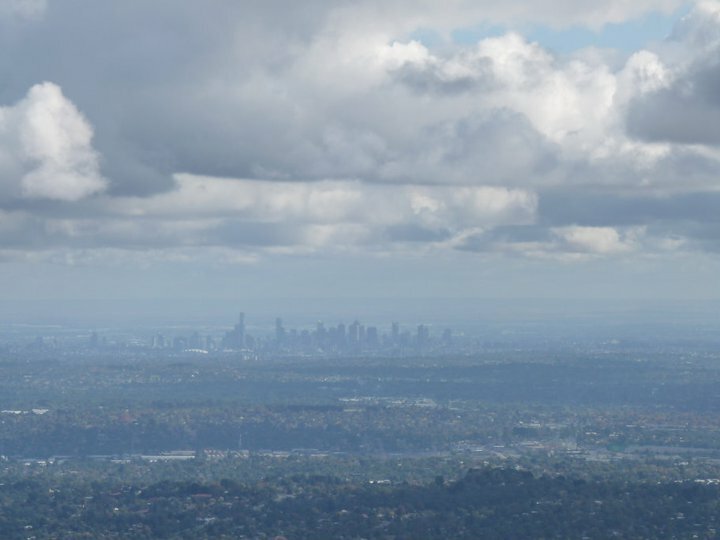 Day trip (or stay overnight at one of the lovely B&Bs) to Mount Dandenong where it’s got charming villages, beautiful parks and a view of Melbourne city on a clear day at the look out point. Eat yummilicious scones (Devonshire tea) at the elusive Miss Marples tearoom – it’s very popular, so go early especially on weekends or public holidays! 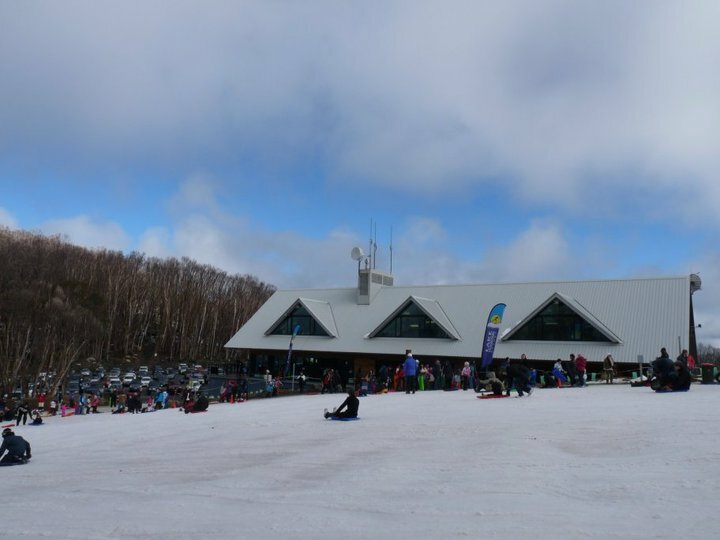 Go skiing or tobogganing at one of Melbourne’s ski resorts, such as this one at Lake Mountain. 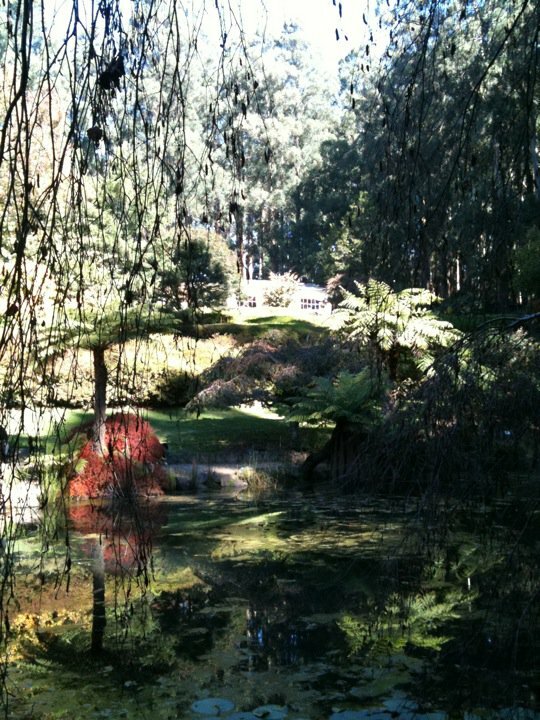 Try to stay at a gorgeous B&B as part of your accommodation choices. 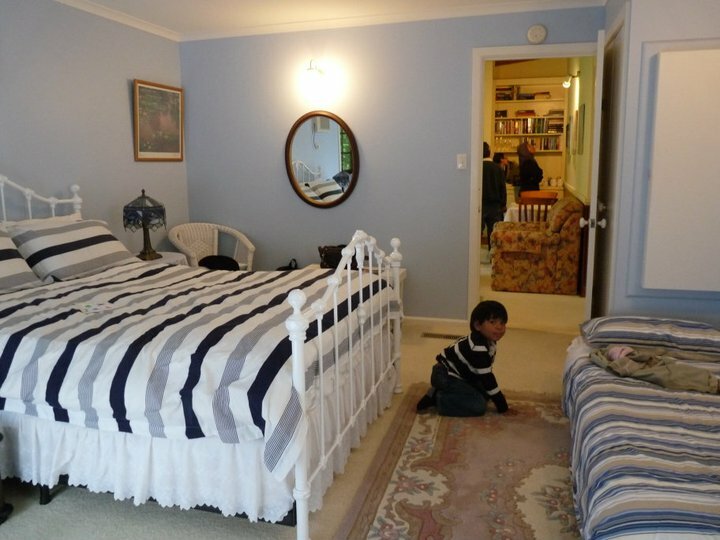 Australia has tip top B&B industry, with ratings and online sites. They treat you really well and give you a delicious English breakfast to start your day. I have recommendations for Sydney, Brisbane/Gold Coast and Hobart as well, but I think that’s enough for this post (which I am having the time to do since it’s the Xmas long weekend). Maybe I’ll do another post for those cities another time, or if anyone has a specific question feel free to write to me. Well that depends. What kind of posting would you want to write about?